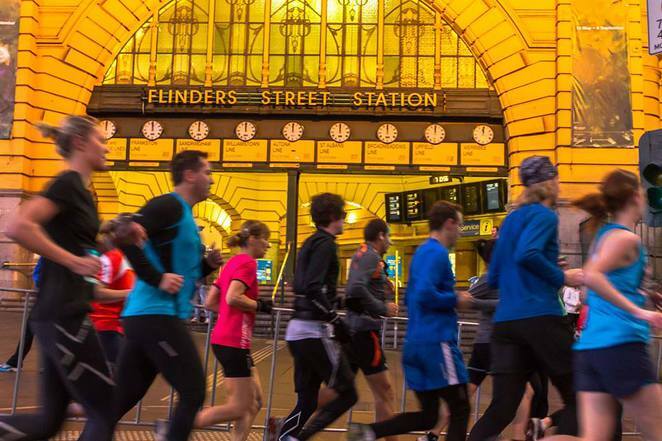 The City of Melbourne together with the Victorian Government and VicHealth is doing lots to encourage a healthy lifestyle in Melbourne. There are free exercise programs and fun fitness events throughout the year for more than 350,000 people who work in the city. Now in partnership with Heart Foundation Victoria, the Bourke Street stairs at Southern Cross Station have been transformed into a scenic garden public art display to motivate commuters to ditch the escalator and take the stairs. All the effort by the authorities is to improve the health of the Melbourne community through increased activity and healthier eating. Research shows that more than half of Australian adults are not active enough, contributing to cancer, cardiovascular disease, type-two diabetes as well as high blood sugar, cholesterol and blood pressure levels. Victorian Health Minister David Davis shared that the Victorian Coalition Government is committed to working with the community to help promote healthier lifestyles and tackle preventable diseases such as heart disease. Melbourne already offers many options for daily exercise like public spaces, parks and pools. But I have to agree with Lord Mayor Robert Doyle that most of us struggle to find time to get to gym or go for a walk or run. The most effective way to positively change our routines is to make the transition easy and enjoyable. So here are some simple and possibly obvious, interesting and fun ways to stay healthy and active in Melbourne, that may even make your some new friends. 1. Talk a short 10 minutes walk around the block when you wake up in the morning and when you return from work. 3. Check out the Little Veggie Patch in Federation Square. Better yet, get yourself a pop-up garden patch for some weekly green thumb-type exercise and free fresh vegetables to add to your meals. 4. Talk a short stroll and enjoy some fresh air at lunchtime instead of sitting behind the desk. 7. Use the TeamUp application for Android or iPhone to help you find a range of physical activities to join or set up your own for others to take part in. 8. Park further away from your office and take a walk. You may also save monies on parking at the same time. 9. Take an hourly water break at work to keep your body hydrated and flush out your kidneys and liver. 10. Catch up with friends for a walk instead of just going for a meal or drink. 11. Go for a stroll with the family or friends at a farmer's market around Melbourne or join one of the free market tours at the Queen Victoria Market and grab some fresh seasonal produce at the same time. 12. Deliver messages to colleagues in the same office in person instead of emailing. 13. Do some sit ups and lunges during television advertisements. 14. Walk or cycle to do your grocery shopping at the supermarket instead of driving. 15. Take the stairs for a couple of floors instead of the elevator or escalator. 16. Go for a weekend spin on the bicycle. If you don't have one, just borrow from Melbourne Bike Share. 17. Arrange some meetings standing around a cocktail or bar table. 18. Replace pasta and potatoes with corn and sweet potatoes for sustained energy. 19. Grab colleagues and friends together for a lunch time workout group. 20. Walk to work or college to avoid the peak hour transportation crowds if possible. 21. Take fresh fruit to work with you. 22. Better yet, get a few colleagues to organize a bowl of fresh fruit that all of you can share with each other. 23. Be aware of the warning signs of heart attack. You can obtain free information from Heart Foundation Victoria. 24. Stock up your desk drawer with tasty and healthy snacks instead of raiding the biscuit tin in the pantry. 25. Stand and stretch regularly instead of just sitting behind your desk. 26. 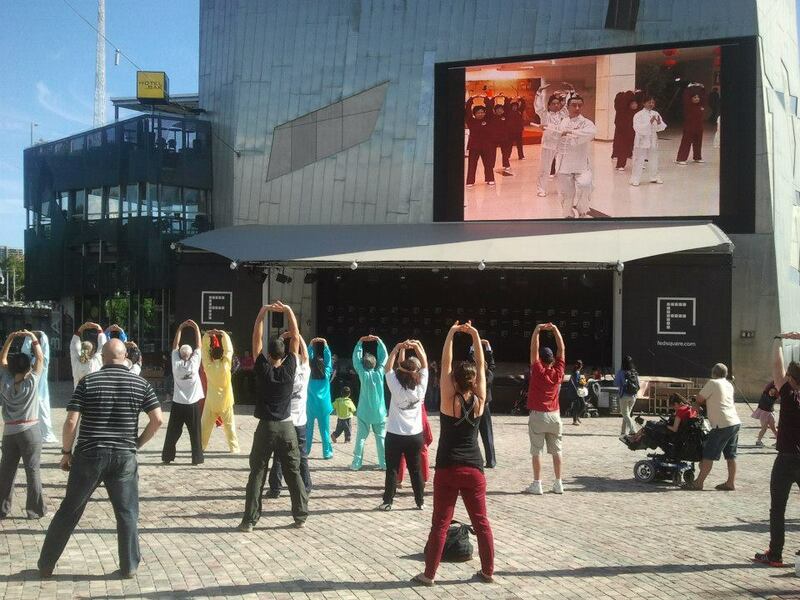 Check with the City of Melbourne for free exercise activities throughout the year like fitness classes, yoga, tai chi and dancing. 27. Take a longer route to the train station or tram stop. 28. Walk someone else's dog if you don't have your own. You may also earn some extra dollars for dog-walking services. 29. Better yet, volunteer to walk a dog from the Lost Dogs Home. 30. Join or start a walking or running group at work, school or in your suburb. Victoria Walks offers great tips and resources to help you plan your trails. 31. Explore the prolific public art in the city's laneways during lunchtime. It's one of the reasons why Melbourne is a great place for the arts. 32. Grab a piece of fruit if you have no time for breakfast. 33. Swap your heels for a pair of running shoes to and from work. 34. Stand on the train or tram instead of sitting but don't forget to hold on. 35. Get a group of co-workers to walk up the stairs at least once a day, before or after work and lunch. 36. Add colour to every meal with a variety of vegetables and fruits, like spinach leaves and raw mushrooms to your ham and cheese toastie. 37. 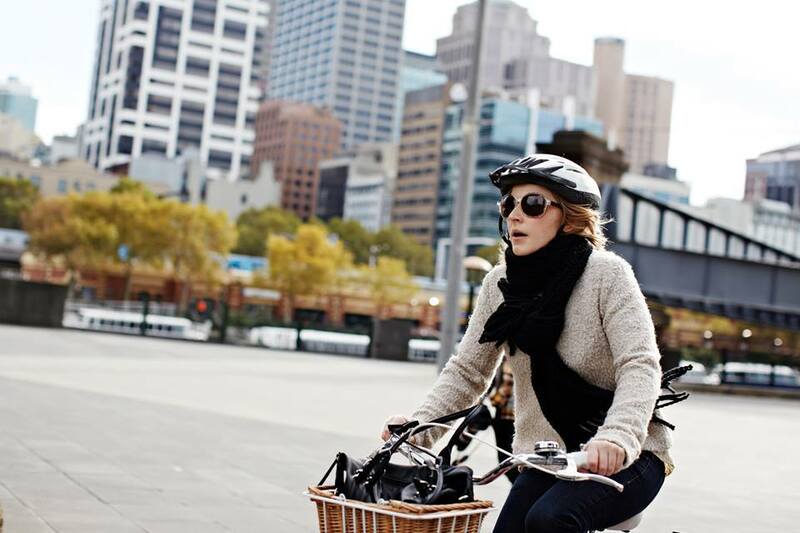 Use the Melbourne Bike Share program to get to meetings around the city instead of taking the tram. 38. Consider spending some time in the kitchen and cutting down on the take-away meals. 39. Head over to the City Baths for a gym or swim class before or after work. 40. Get free daily encouragement by wearing a pedometer that tracks your steps, distance and calories burned. 41. Grab the family and go for a walk in any of Melbourne's parks and gardens. 42. Substitute the white flour for wholemeal and wholegrains. 43. Swap your desk chair for a fitness ball. 44. Add some carrot sticks to your cheese and crackers. 45. Organise your exercise gear into a fitness bag so you're ready to get active anytime. 46. Take a self-guided tour of the many free exhibitions in the National Gallery of Victoria and State Library of Victoria. 47. Have raw fruits and vegetables are quick snacks. 48. Do some calf raises while waiting at the microwave. 49. Walk around while talking on the mobile. 50. Bring your own healthy portion of vegetable soup or salad to work for lunch. 51. Take your lunch for a walk instead of eating at the table. 52. Join any of the charity runs in Melbourne and get fit, have fun and help raise monies for a good cause all at the same time. 53. Have a piece of fruit instead of the bottled juice. 54. Trade the fried potatoes for a bowl of fresh salad. 55. Join one of the walking talks at the Royal Botanic Gardens on various botany topics such as Eucalypt or bushland. 56. Jump off and walk a few stops when it's too cramped on a tram. 57. Enjoy an evening sojourn by checking out the popular food, browsing the stalls and doing some groovy dancing at the Luna 1878 Night Market. 58. Swap the sweet soft drinks for water or freshly-made fruit juices. 59. Use the copier or printer furthest from your desk. 60. Give yourself a pat on the back for doing at least one of the above things. Better yet, share your pats with others who are taking the simple steps to staying healthy and active with you. A count of the stair users was taken on Thursday 26 June before the artwork was installed and on Thursday 24 July once it was in place. Another count will take place next week and at the end of the project. 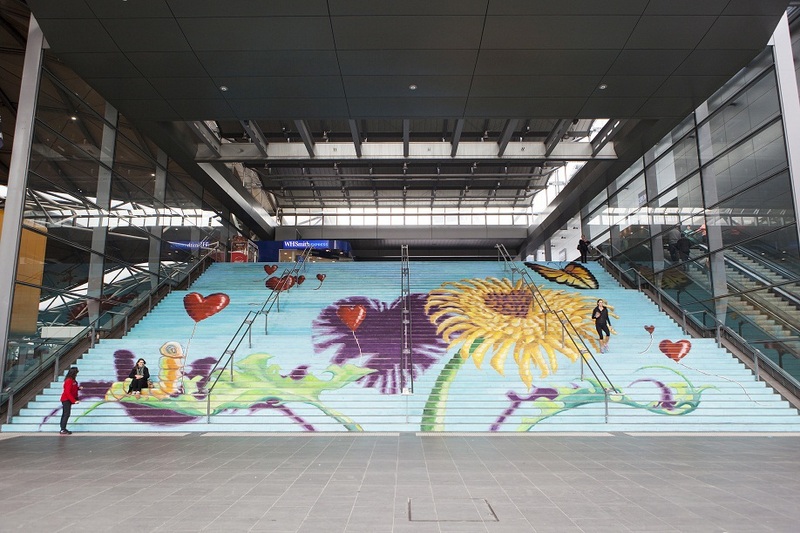 There was an increase of 32% off peak (3-4.30pm) and 169% at peak time (5-6.30pm) with the artwork in place.